One of of the first things that I learned about Kimmy and Chris was that they attended rival universities. Kimmy went to Penn State and Chris attended The University of Pittsburgh. There was talk of Pitt and Penn State pom-pom gloves at our first interview. While this is a point of jovial teasing between them, it was more of a humorous binding agent than the reason to start a feud. Being that their wedding day was a joining of their lives, they chose to join their collegiate lives together with a PEP RALLY! Kimmy, a former PSU cheerleader, was joined by the Nittany Lion and led the guests with chants of “We Are State!” “Let’s Go Pitt!” and “WE ARE–MARRIED!” I hope it isn’t the last wedding I attend with a pep rally. Kimmy and Chris are strong in their devotion to their religion. Both had told me they were most excited to exchange vows on their wedding day. They were married in a Catholic mass at St Bonavenutre Parish in Glenshaw and celebrated their union with a reception at The Heinz History Center in downtown Pittsburgh. An excellent team was assembled for their wedding day. 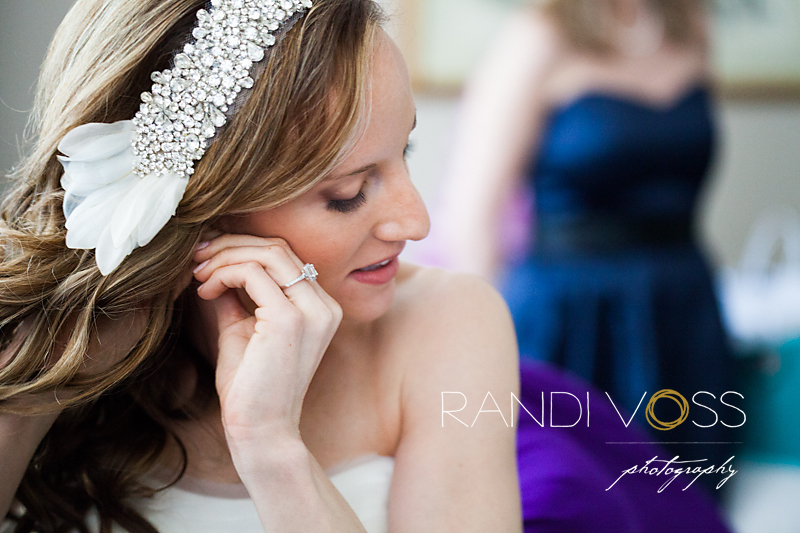 Lee Ann from @home beauty styled Kimmy and her bridesmaids’ hair and makeup. Eric from Party Time Productions guided their guests through the reception (and pep rally) after they enjoyed catering by Common Plea Catering. Nicki and I enjoyed the first weekend in April with Kimmy and Chris. She met with Chris at St. Bonaventure in the most wonderfully fragrant church we’ve ever been lucky to step into. Kimmy mentioned that the church would still be decorated from Easter celebration, but it was more beautiful than I had imagined. After the ceremony, we were treated to beautiful weather and their lively and energetic reception. My guess is there were no losers at this pep rally challenge. As usual, great photos, I really like the ones at the church. Lovely pictures! Great shots utilizing Heinz History Center! These are incredible; I can’t wait to see the rest! Congratulations. We will miss you Chris at CCD but see you have a lot to cheer about. What a beautiful couple. God’s blessings on your marriage. These pictures are amazing! 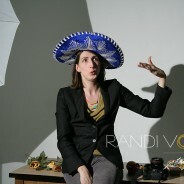 Randi is not only extremely talented, she is professional and wonderful to work with. 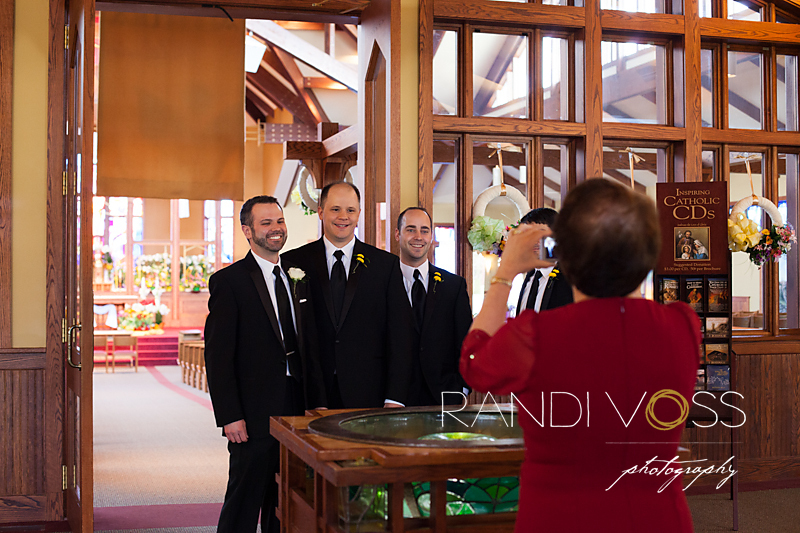 She kept us on schedule to get every picture we wanted while allowing us to enjoy our wedding. 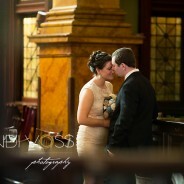 I highly recommend Randi Voss to any couple getting married. Thank you Randi and Nicki!!! Sorry we missed it. What great pictures!!! Blessings to you both! !